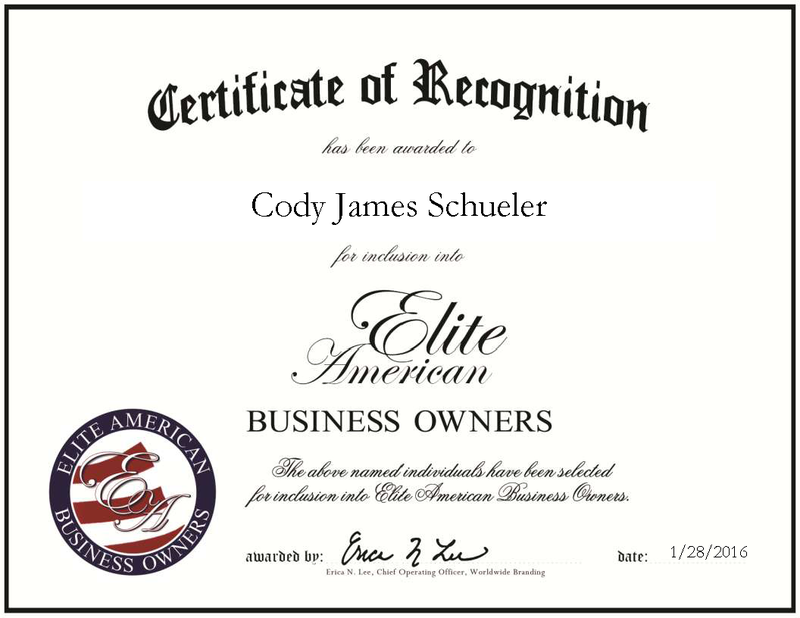 San Diego, CA, January 28, 2016, Cody James Schueler, Founder of High Rev Applications and Flying Squirrel Sports has been recognized by Elite American Business Owners for dedication, achievement and leadership in new business development. Mr. Schueler is an aggressively motivated entrepreneur at heart. He holds ownership of multiple businesses, and attributes his success to his faith and his family. Mr. Schueler’s newest business, High Rev Applications, is a company that offers custom native business mobile application development. Empowering their customers with a custom native mobile application experience. Their custom iOS and Android mobile applications are developed and in the app store in weeks instead of 6-12 months. Guaranteed to boost revenue with their ROI-generating features. Every day, more and more businesses and organizations are trying to unleash their mobile potential. Despite these changes, businesses are struggling on building fundamental technologies that will not only keep doors open but increase annual revenues up to 50%. High Rev Application’s mission is to help business owners connect directly to their consumers using the latest technology standards. Two of his other businesses are Flying Squirrel Sports and Sky High Sports. Both businesses are trampoline parks; Flying Squirrel is based in Canada and Sky High is based in America. Mr. Schueler entered into the business because he wanted to provide healthy, fun entertainment for all ages, and trampoline parks seemed like the perfect solution. Flying Squirrel Sports has been recognized as the #1 trampoline park in the world where high class meets family entertainment. Mr. Schueler is currently expanding worldwide with stores under construction in Hamilton ON, Ottawa ON, Kingston ON, Victoria B.C, Surrey B.C, Missoula MT, and Guatemala City GT. In his current position, Mr. Schueler is the President and CEO for both Flying Squirrel and High Rev Applications. He is also responsible for advising or consulting on serious, innovative projects in his areas of interest including; new business development, trampoline park consulting, business management, start-ups, financial funding services, new ventures, and among other things. Mr. Schueler earned a Bachelor of Economics from Washington State University in 2009. Started his first successful business at the age of 23 with many more to shortly follow. In the coming years, he aims to work with like minded entrepreneurs, as well as launching ultra-successful products and businesses in an effort to give back to the community. This entry was posted in Recreation, technology, Uncategorized and tagged entrepreneur, Flying Squirrel Sports, High Rev Applications, native mobile applications, new business, Sky High Sports, trampoline parks. Bookmark the permalink.